Sam counts steps with the over achievers! I’m on holidays in Madrid. And today, in the way one does in large European cities, I walked a lot. Really a lot. Like 21,855 steps. The only day I’ve achieved a higher step count from walking alone was last year at this time in Edinburgh. Those were also very hilly steps. But today’s steps were also warm. It was so warm in Madrid that they’ve cancelled the afternoon bike tours of the city that we’d planned on doing. So I am tired. My feet hurt. I’m drinking lots of water and feeling a sense of achievement. 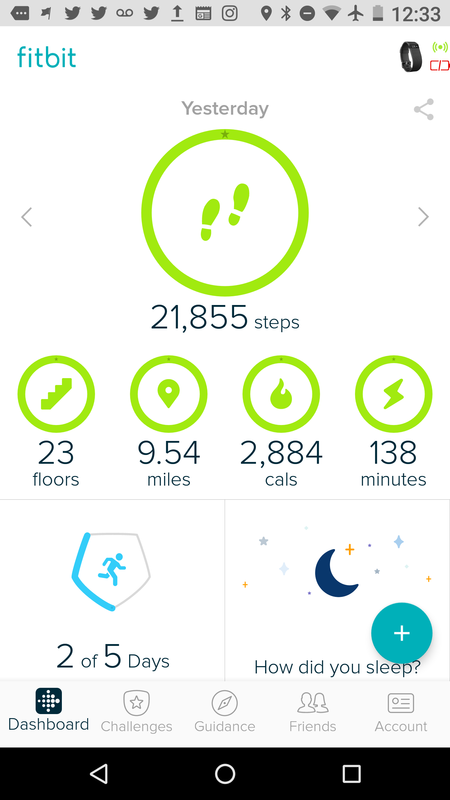 I am looking forward to logging my daily steps. You see I’m doing this workplace health and fitness step counting challenge. I blogged about it here and Tracy wrote about decision to try it again after hating it last year here. I’m on a team that is composed of multi sport athletes. We’re not just walking and counting steps. We’re also swimming, running, and biking. Me, I’m mostly just biking. (My biggest step count day was the day I rode over a 100 km.) It’s a team of over achievers. Given that a few of us are training for Ironman distance events our numbers are high. 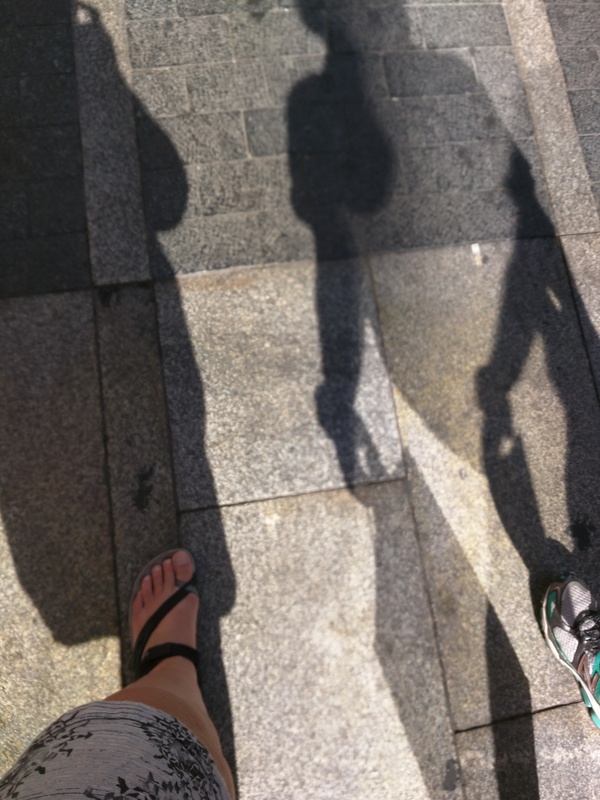 My very big day in Madrid is still below the team daily average step count of 23,500. It’s funny being the weak link. But in a bunch of ways it suits me. What do I mean exactly by being the weak link? I’m not doing that badly. My average daily step count is about 15,000 (that includes a conversion they do for cycling.) My biggest day yet was over 40,000. Not too shabby right? There was one challenge day we were supposed to mark as a team by picking a day and aiming for 150,000 total steps on that day. We didn’t need to pick a day. This team does that everyday. So do I feel guilty dragging down the team average? No. I feel motivated. I probably wouldn’t feel motivated if I were the high achieving member of a team. I might even get annoyed at people on my team who weren’t trying. I like riding people who are faster than me, lifting with people who are stronger than me, and so on. So in this I’m motivated by step counting with the big dogs. How about you? Are you motivated by riding with people who are faster, having workout buddies who are fitter? Or does that just depress and demoralize you? I know it works different ways for different people? What’s your way? I’m very much in the camp of working with people who are at my fitness level or just slightly better. Swimming with faster swimmers pushes me to work harder, unless they are so fast I get lapped in the pool or lose sight of them at the lake. I’m a lot older than most of the people I work out with, so just keeping up is often an achievement, especially since I do so many different sports each week that I never take the time to get really good at any of them. That’s okay, though, because I’m happier doing a bunch of things reasonably well than being excellent at a limited number. I really like skiing with people better than me. It’s challenging, they know how to find the best snow, and if they’re jumping off a cliff I know I can still find my own way around it. I certainly don’t mind cycling with another cyclist who’s better than I but is patient with me. If they want to speed along, then adios comrade. There’s no point riding for me to ride with them. It doesn’t do anything for me nor for them. So I then I ride alone. I wouldn’t mind someone hiking a lot better than I — I could learn more from them. I’ve learned (very much the hard way) that competing is usually unhealthy for me, so I do best in a supportive environment with someone close to or just above my level. This year, I’m partnered up with another friend to get rewards at certain mile achievements in running, which has worked really well for me.